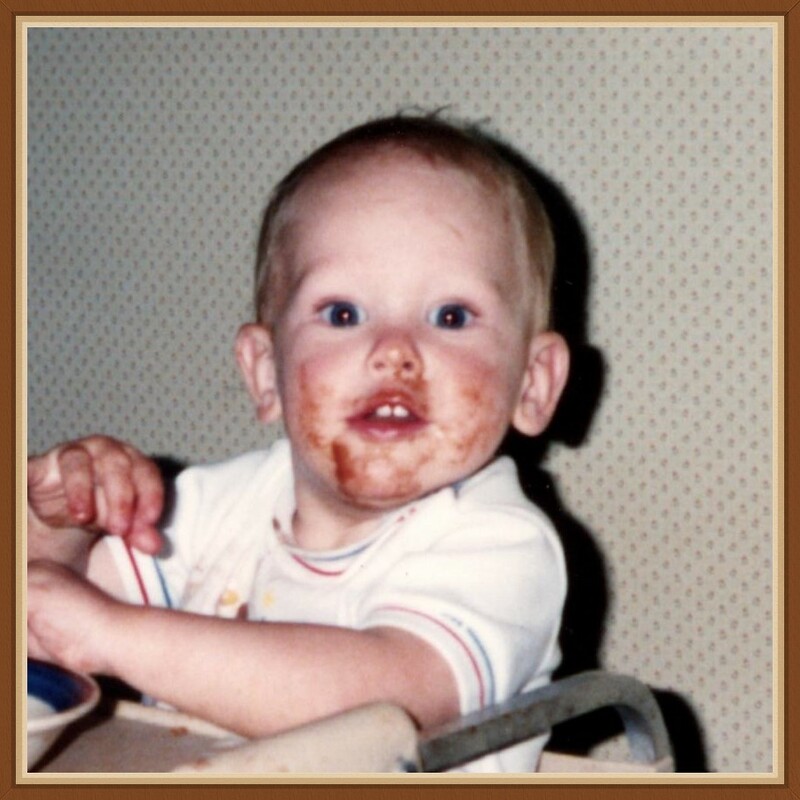 1980-1990 – Opportunities and Disappointments | Dad's Dead. Mom's Drunk. And I'm Failing Algebra. 64) Did You Allow a Rotten Childhood to Defeat You? Think about your greatest professional or personal accomplishment. Was it an event or achievement that inspired someone or maybe inspired many? Did you help someone or produce something so valuable it got the attention of others? In my own life, I have come to believe one important purpose was to participate as one of the principles in the development of the ADXL50, the world’s first accelerometer on a chip! at age 4, watched Dad die before my eyes. Did not go to the funeral, so virtually no closure and certainly no counseling. barely made it through high school after attending at least 7 other schools. I wondered what in the world Dr. Payne and the group had seen in me. Then the design team for the ADXL50 embarked on a three and one-half year project culminating in the world’s first accelerometer on a chip in 1993. I like to think that the chaos I experienced growing up helped prepare me for those three and one-half years between 1989 and 1993 in Wilmington, Massachusetts. I wasn’t great but great enough in the moment of need. Participating on the team that designed the ADXL50 has been my highest professional achievement. 63) What is an Accelerometer? Ok, in my last post this midwest boy went to Massachusetts to work for Analog Devices developing a microchip that turned out to be quite special – saving lives and by the author’s estimate, earning millions. From concept to silicon, the ADXL50 took approximately three and one-half years to develop and involved over two hundred engineers, technicians, operators and financial, legal, marketing officials. Did you ever experience the feeling of being a part of a team that accomplished something great? Next: Did you let a rotten childhood defeat you? In the last post I bragged a little about my new role at Analog Devices in Massachusetts on the team that designed the world’s first accelerometer on a chip (the ADXL50) in the early nineties. In this post, if you’re interested, I’ll develop this story further including our move from Minnesota to Massachusetts, our first experiences at Harvard Square, and a couple of the characters in the design group who could be characterized as brilliantly eccentric. Within a few weeks, Nadine, Jenner, Stevie and Mr. Morris our orange cat arrived in Massachusetts. Nadine had driven the four of them across the country from Minneapolis, Minnesota. We spent the winter in our rented Cambridge, Massachusetts triple-decker flat using the week-ends to take the kids to the tot-lot one block away, jump on the bus to Boston or spend some time conspicuously sipping coffee at Au Beau Pain in Harvard Square. Based on our experiences living in San Francisco, we became quite good at discovering the most interesting neighborhoods and amenities Massachusetts had to offer and meticulously exploiting them. Some of the best things in life are free, as they say. 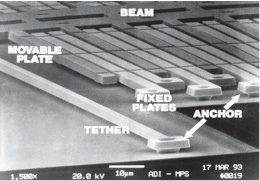 My work on the ADXL50 – the Gee-Wiz, 3-D computer chip – was divided between drawing test structures for the process (bipolar/CMOS or BiCMOS) engineering group and prototype circuits for the circuit design engineer. The Principal Circuit Designer was a man named Sam Cernan (name changed) who was known for being brilliant but stubborn about certain things. For example, Sam refused to use a particular software design application that was, in his opinion, “untested”. So instead of providing me with an electronically generated (and verified, by the way) representation of the circuit, I received the his final circuit rendering on a patchwork of pieces of typing paper, all taped together. “Let ’er rip,” he said. In his mind, he had provided me with appropriate engineering input with which a competent layout designer would translate to “mask work”, or a series of drawings containing shapes of transistors and wires. That was Sam. By now I have established in the reader’s mind, hopefully, I wasn’t a natural talent in engineering. I had failed Algebra badly and slid through my undergraduate in business with no further – other than statistics – math that was required. I didn’t distinguish myself in the business school and was not a top student in the IC Layout program at Master’s Design and Technical Center in silicon valley. And worse, I had bombed my first layout job at Micro Linear in Milpitas, California and been let go at VTC, due to cutbacks. The truth was, I was unqualified to participate on a team that would create the “worlds first accelerometer on a chip”. But here is what I did have. I had the ability to learn and the knack for getting people to trust and believe in me. This is because I believe in myself! The story of the creation of the ADXL50, the world’s first accelerometer on a chip, could fill a book or two, (Just as Soul of a New Machine by Tracy Kidder did in the 1981). But for our purpose here, a few paragraphs will probably due nicely. Readers not interested in the technical merits of semiconductor development using micro-electrical mechanical systems (MEMS) using my oversimplified explanations, crude analogies and passionate pleas for understanding, may pass – just as my family did, at the time. If you drive an automobile, then probably some version of an accelerometer is buried in your steering wheel. Next: What is an accelerometer? Analog Devices designs, manufacturers and markets analog, mixed-signal and digital processing integrated circuits. With its headquarters in Norword, Massachusetts, rich pedigree, billions in sales and world-wide reputation for excellence, it is considered a top-tier semiconductor engineering and scientific juggernaut. All of this richness was lost on me, a marginally credentialed technology worker with a very bad recent track record. Hey North Minneapolis, How Do You Like Me Now? None of this mattered. I had aced my interview with Dr. Payne, had passed my test with the other members of the engineering team at the Wilmington, Massachusetts design facility and was in possession of a starting date and compensation package document. After making the trip to Boston to begin my new job, I found a luxury-class GM automobile waiting for me at the airport, which I drove to the hotel room (semi-luxurious) where, as a new employee with Analog Devices Incorporated, I would be staying until I could find suitable housing for the family. ADI was giving me the executive treatment – full-on. Somehow, my references had apparently all checked-out. So at least that was solid. And my little foundation was in place but something was nagging me. I had been warned of a steep-learning curve by the team but – as with any new job – I didn’t know yet what my project team would actually expect of me. A wisp of uncertainty crept in. But I was too green to be outright scared. What I didn’t know would’ve shocked the folks in my group. Nor did I know what I didn’t know. So my self-confidence was as high as ever. The fate of Nadine, Jenner and Stevie squarely in the palm of my hands, Nadine and I made plans for her to fly to Massachusetts to find housing. In my favor and what I didn’t know at the time, was that a business that is elite in its industry almost always employs people who excel recruiting, training and retaining individuals it values. Analog Devices showed early signs of treating its employees with compassion and integrity. For example, rather than members of my new team tasking me with layout work, I was given plenty of time to learn the systems, tools, processes and key people in our organization. So by the time I received my first assignment – except for normal project specification questions – I was completely comfortable. Our group at ADI would be developing the world’s first device to measure acceleration – an accelerometer, and put it on a tiny chip. Okay, I know sooner or later everybody gets to design the first something that turns out to be cool. And the truth is, circuits that measured and reacted to acceleration were not new. But small ones were. Fitting one on a thumbnail size chip would be a market maker. That is to say, if successful, our new product – which was anticipated to be 5 – years in development and be used in airbags – would save lives in automobile crashes and make the company and others, multiple millions of dollars. Have you ever moved your family to a distant work opportunity and felt the enormous pressure that rides on your success or failure? Next: We move to Massachusetts. In my last post you read about my inability to fit in with the crowd at VTC in Minneapolis and subsequent downsizing of the entire second shift at the company. In this post you will read about my efforts to prepare my family to find cages for our 16 gerbils and move across the country – somewhere. I’d like to tell you how surprised I was, but I wasn’t. I was beginning to expect major events in my life. My little foundation was in place, and I had prepared myself for it. What I lacked – and didn’t know it at the time – was sensitivity to how my exciting career decisions were impacting Nadine, Jenner and Stevie. Our duplex renters now secured with a 9-month lease, we were positioned – at least as well we were able – to begin life on the East coast, should I do well during my interview with Analog Devices. Dr. Payne and I talked over lunch at The Chart House in Boston. I think I ate Lobster tail with coconut and ginger rice. “You’ll be working with a lot of different personalities, within design, process engineering and fabrication,” Dr. Payne cautioned. An easy-going, powerfully built, sandy-haired guy, Dr. Payne held advanced degrees in semiconductor physics from Yale and, if I recall, MIT. Far from a stuffed shirt, this engaging and spontaneous individual was a rebel at heart but was working within the corporate structure develop something revolutionary in chip design and was asking me to be a key player. Technically, I didn’t meet the admission standards of the team Dr. Payne was describing. But looking back, I guess he saw someone who was capable of fitting into a structure and learning what was required to bring this concept out of the lab and into the marketplace. Dr. Payne had hand-picked me – a person with no advanced degree, no specialized mixed-signal design experience, no new england pedigree, no insider connections and no viable work references – to help his team develop the worlds first accelerometer on a chip. What did he see? Maybe a rebel, like himself? I was beyond excited, and really, really afraid of disappointing Dr. Payne. Were you ever recruited for a specialized role in developing a “revolutionary” product or project? Next: What did Analog Devices have up its sleeve and how they envisioned I could help them with the project. In the last post you read about Steve. 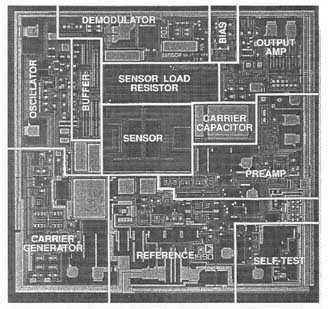 In this post I try to provide you with an overview of the world of semiconductor design – at least from my perspective in 1988 as I considered my options in Minneapolis or moving my family from Minnesota, across county to Massachusetts. At this point in my career, after approximately 4 years as mask designer – drawing tiny computer chips – I wasn’t lighting things up. In fact, I was not even getting along with the people at work. This shook my confidence badly. I wasn’t a high performer and needed help and support with every task I was given, from engineering drawing interpretation to design application software and hardware use. No wonder my peers were avoiding me. I couldn’t do anything by myself. I just wasn’t getting it. In addition, my memory and ability to arrange objects spatially, before I used the software to draw them, was failing badly. Often I would have to stop and start a task several times because, during the task, I would lose my place because I would forget what I just saw. What was wrong? Simply, I didn’t possess the natural ability (aptitudes) to see what my peers saw, then to do what they did. At least not as fast. My tests at The Johnson-O’Connor Research Foundation in Dallas during 1985, four years earlier, clearly illustrated these shortcomings. A little background on semiconductor design job locations may serve well here. Mask designs serve a highly specialized industry niche whose opportunities for employment are located in just a few major clusters of technology within the US. In addition, since Mask Design was an emerging occupation, the prospects for long-term growth were excellent but relatively few job openings existed. The list of major technology centers in the United States in 1989 included Silicon Valley, Austin, Boston, North Carolina, Seattle and San Diego. Therefore, most semiconductor design – including Mask Design/IC Layout positions – could be found within these metro areas. So because of relatively few semiconductor design facilities and comparatively few job openings it meant that Mask Designers seemed to move around the country a lot. If you were lucky enough to secure a position in your hometown, you did your best to hold on to it. But since I was outplaced in Minneapolis, to remain in my present career, I would most likely again have to uproot my family. I couldn’t have known all of this on that day in California when I decided to get specialized training in IC Layout. I only knew designing computer chips seemed like something fun to do and didn’t require me to meet a sales quota. Improvements to the interior of our duplex in Minneapolis were moving along nicely. I had refinished the wooden floors and repainted the walls in both upstairs and downstairs units. We then rented the downstairs to three energetic and wholesome young ladies who were attending the University of Minnesota, just one-mile away. Okay, my confidence was badly shaken. I had no natural abilities for my new career. And I wasn’t getting along with people at work. In spite of my circumstances, I believed in myself and that it was only a matter of time before I found a design team that would appreciate my work ethic and ability to learn and adapt. So one snowy November evening in Minneapolis, I told Nadine, Jenner and Stevie we would probably have to move across country again for my next job. Of course, they were devastated. How long did it take you to become really proficient on your job? In the last post you read about David. In this post I share news about the birth of our son, Steve. In addition, Nadine and I buy a small apartment building near the campus of The University of Minnesota. The 2-story house we purchased in Brooklyn Park, Minnesota was an ideal starter home. We were very fortunate, that since I had served in the Air Force, we were able to qualify for the mortgage, which in 1987 was about $79,000. As I mentioned the house was only 2 blocks away from my brother making our stay in the home even more of a homecoming. Clinging to my habit of changing something that is already good, I talked Nadine into selling the house after about 14 months. By this time our second child, Steve, came into our lives, a healthy and thriving baby boy. So, except for my restlessness, life in the suburbs had been everything we expected. Then, based partly upon the go-go real-estate conscientiousness of the 80’s and my desire to begin an investment portfolio, we purchased an owner-occupied duplex to seed the portfolio. The building was in decent shape and located near the campus of The University of Minnesota. Nadine, Jenner, Steve and I would live upstairs. Upper and lower units each had 2 bedrooms plus a porch, which our downstairs renters used as a third bedroom. Our mortgage on the property was approximately $99,250. Our work situation at VTC had begun to deteriorate. As a start-up VTC was mostly dependent on securing recurring investor funding to continue operations. Projects were cancelled, and work for Mask Designers was sporadic for weeks creating an atmosphere of uncertainty. So when the entire second shift was laid off, none of us were surprised. Many of us were able to get unemployment benefits to soften the blow, but the companies action still badly stung us. The only thing worse, in my view, is getting fired. Did you ever own income property? In my last post I informed you of some cracks beginning to appear in my “Unshakeable Foundation for Achievement” in 1988 while working at Micro Linear in San Jose, California. We’ve all embarked on new careers but how many of us – to use an analogy here – couldn’t do long division, but woke up one day and decided to help design computer chips? Yet, effectively, this is what I set out to do. In this post I will introduce you to David, a good friend and one of the smartest guys I know. Then I met David. David is like me only bigger, smarter, louder, wealthier and just as self-absorbed. At 6 feet 2 inches tall with steel-grey hair, his waist now shows the result of thousands of hours drawing and checking transistors as a Mask Designer. Although he has always negotiated a better hourly rate than me on his contracts, Dave says, “It’s not about how much you earn Oliver, it’s about how much you save.” Dave likes to talk and at times, on the job, it has led to trouble. But Dave’s ability to earn and manage money is, in my opinion, unparalleled. Dave and I met each other at VTC where we worked together and used to take long walks and philosophize about the nature of work, how to get wealthy or if not wealthy, how to lead an exceptional life. At age 37, Dave already owned a rental property in Minneapolis and drove a used BMW, for which he paid cash, if I recall. Dave would come and go on jobs – he wasn’t yet contracting in those days – at the drop of a hat. Demand for Mask Designers was robust and in 1989, growing rapidly. And Dave’s resume was strong. So Dave had no qualms about walking if a supervisor said something that went against Dave’s values. I came to admire Dave’s pluckiness in that regard but didn’t yet possess a clear sense of my own values to understand how to defend them. As the years passed, in Dave, I began to see someone whose quest for independence and self-reliance, I wanted to emulate and today drive me in everything I do. Dave helped me look at personal finances in a different way. In a way, that draws distinctions between working for money and having money work for you. I had always been interested in becoming financially secure and had done some reading by the time I met Dave. I learned later that possessing the knowledge about becoming financially independent is a worthy goal. But only through putting those principles into practice will you get there. What I had to decide was, would financial independence bring me true happiness? If so, what would it require of me to achieve it? Next: The perils of working for the only employer in a small geographic technology market. In the previous post you read about my unrelenting pursuit of a “dream career” based on nothing more than a vision of computer chips I experienced in my sleep sometime in 1984 while living in San Francisco. In this post you read how my new career was beginning to shape-up on my first position with Micro-Linear, in San Jose, California. Could interest and passion overcome lack of ability? I hoped so. My family was depending on me. Was I Making a Bold Career Move or Just Being Stupid? In an earlier post you read about my “… Unshakeable Foundation for Achievement” which consisted of self-confidence, love for learning and preparation, ease with people and open mindset. But given the writer’s lousy childhood, and limited natural abilities each one of us are born with, just how far could this little foundation take me in a design engineering laboratory? Nadine, Jenner and I made the trip to Minnesota, and I began my new job at VTC Incorporated in Bloomington. Moving to our suburban 2-story in Brooklyn Park, just up the street from my brother Dean was ideal, since I hadn’t lived around my extended family in about 16 years. I had lived in Brooklyn Park while attending high school, and it had more ethically diverse than it had been in 1968. Prior to leaving San Jose, while working at Micro-Linear, my first career position in semiconductor design (IC Layout), I was beginning to see indications that I my career was not going to be everything I imagined it might be. I was not fast in my work and the “drawings” I produced seemed to required great effort. This was confirmed in my job performance evaluations but there was a bigger problem. I was not fitting into the group, socially. Early in my life I was aware that the perception most folks had while spending time with me was that I was detached, overly analytical and warm but easily bored. I had carried that persona with me into my new career, apparently. I was devastated by this bad review, which highlighted my lack of speed in completing the drawings and the perception that with some co-workers, at least, I wasn’t very popular. If you are not good at your job, I concluded, you’d better be popular. I was neither. My performance failure at Micro-Linear was the first I had experienced. I needed a fresh look at my career choice. I hoped VTC Inc. might provide more insights. The foundation I had put in place in my personal development had prepared me to begin an intentional journey to discover my own happiness. The building blocks of my foundation are 1) Self-confidence, 2) interpersonal skills, 3) appreciation for the value of study and preparation and 4) persistence. By no means did my little foundation guarantee happiness. It only provided me with the tools to search. Since the age of 20 or so, it had been my conviction that leaving Minnesota, raising a family and living the good life in California would bring me happiness. My short career in Silicon Valley and our new plans to return to Minnesota was a clear signal there must be something more to happiness than attainment of goals and achievements. If working at Micro-Linear was a wake-up call for my career, my work in IC Layout at VTC was like touching an electric fence. Software, hardware and people were outdated, clunky and rooted in their culture of resistance to change. Since I had lived in California – even though I had grown-up in Minnesota – I was made to feel like an outsider. “Why don’t you take your Honda and move back to California?” a trusted colleague once told me. I worked on the second shift which only accentuated their perception that I was some sort of alien. As the days at VTC passed and turned into months, I began to realize that unless I made a change, I would have to find a different career. Evidence was mounting I had made a bad decision moving back to Minnesota and I began to look for alternatives. My worst realization was that I had made a terrible career choice. One that at the age of 39 and a growing family, was going to be difficult to unravel. What was your worst career move? In my last post you read about my amazing new career – in spite of razor-slim credentials – in Silicon Valley California. In this post I will share – in the space of about 250 words – the next three years of our life in the San Jose area and another big change. The next three years passed quickly for us living in San Jose. I was working normal hours at Micro-Linear and learning as much as possible about semiconductor design, electronic design automation tools and the dynamics of working in a group of diverse semiconductor design professionals. Mask Designers are known for being quirky. The best example of this was Mike Bisgood. Many times during a mid-afternoon Mike would make the sounds of barn-yard animals. At first, a cow. When he got to know us better, chimps. And so on. We are all at our work-stations in a darkened room and the sounds begin. No one knows when or which sounds will emanate from Mike. Even funnier, two individuals tried their best to ignore Mike. They remained silent for several of Mike’s “events”. Mike saw this and worked harder to refine his act. Vocal control and unfailing authenticity were Mike’s trademarks. Closing my eyes, I can see Mike sitting at his workstation, looking around the room for just the right moment, then beginning his act. Priceless. One of my characteristics is, when things go stale, I feel compelled to stir them up. True to form, decided I wanted to be a home owner, even if it meant leaving California. I had been in touch with my brother Dean in Minnesota and located a Mask Design position at a company called VTC in Bloomington, a suburb of Minneapolis. Feeling a very strong pull from my family – most of Nadine’s family had roots in California – I accepted a position as a Mask Designer at VTC Incorporated and we left California to live in Brooklyn Park, another suburb of Minneapolis. My new salary would be $5500 more than what I was making at Micro-Linear. But more importantly, houses in Minnesota were affordable. We made the trek across country and purchased a house three blocks from my brother at 7709 Perry Avenue. The move felt right. Some of my best achievements in life have been through very bold moves following my basic instincts – nearly always without support or approval of others. When making a big life change do you sometimes go with “what feels right”, or do you always work from a preset plan?